Are you seeking ways to integrate nature within the built area? If so then here is something which will definitely help you achieve your goal. Read More..This wooden vase will keep all the lively flowers secured and further define their beauties with its appearance. 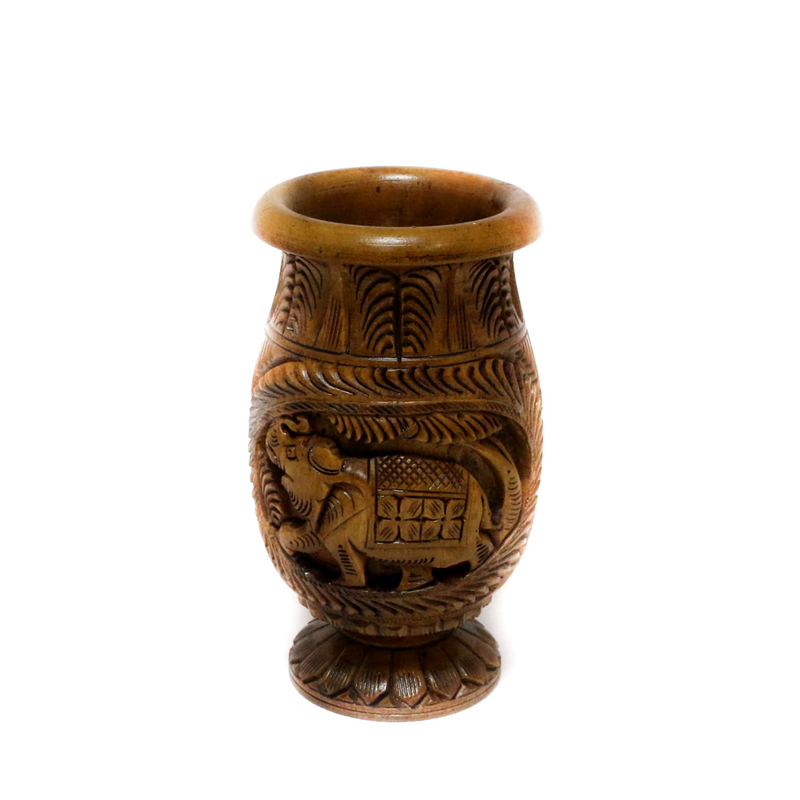 This wooden piece is carved minutely depicting several designs an ideas. Show Less..